February 11, 2015  A judge agreed to vacate Christopher Abernathy's 1987 conviction in the killing of a 15-year-old girl after a request from the prosecutor. Abernathy, now 48, spent nearly 30 years in prison. 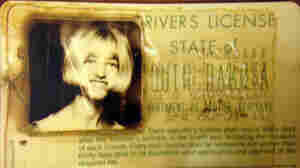 Another Car, Another Watery Grave, Another Cold Case Solved? September 25, 2013  A 1960 Studebaker was discovered in a South Dakota creek this week. Inside: what may be the remains of two high school girls who disappeared in 1971. 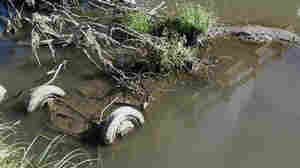 This follows last week's discovery of two cars in one Oklahoma lake. Inside them: what may be the remains of six people who went missing decades ago. 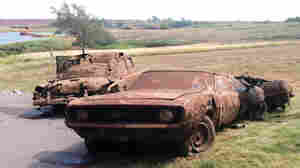 September 18, 2013  How did the cars and the people inside end up in western Oklahoma's Foss Lake? That's still a mystery. The vehicles and those last seen in them went missing in the '60s and early '70s. They were found by chance when sheriff's deputies were testing sonar equipment.